LIMA, Dec 4 2014 (IPS) - For more than 10 years, Mildred Crawford has been “a voice in the wilderness” crying out on behalf of rural women in agriculture. 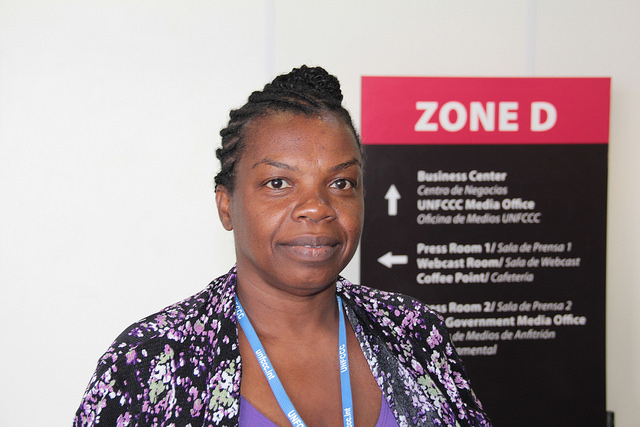 Crawford, 50, who grew up in the small Jamaican community of Brown’s Hall in St. Catherine parish, was “filled with enthusiasm” when she received an invitation from the World Farmers’ Organisation (WFO) to be part of a civil society contingent to the 20th session of the United Nations Conference of the Parties (COP20), where her voice could be heard on a much bigger stage. But mere days after arriving here for her first-ever COP, Crawford’s exhilaration has turned to disappointment. “I am weary, because even in the side events I don’t see much government representatives coming to hear the voice of civil society,” she told IPS. Crawford said women farmers often do not get the attention or recognition they deserve, pointing to the important role they play in feeding their families and the wider population. “Our women farmers store seeds. In the event that a hurricane comes and resources become scarce, they would share what they have among themselves so that they can have a rebound in agriculture,” she explained. WFO is an international member-based organisation whose mandate is to bring together farmers’ organisations and agricultural cooperatives from all over the world. It includes approximately 70 members from about 50 countries in the developed and emerging world. The WFO said its delegation of farmers is intended to be a pilot for scaling up in 2015, when the COP21 will take place in Paris. It also aims to raise awareness of the role of smallholder agriculture in climate adaptation and mitigation and have it recognised in the 2015 UNFCCC negotiations. The negotiations next year in Paris will aim to reach legally-binding agreements on limits on greenhouse gas emissions that all nations will have to implement. 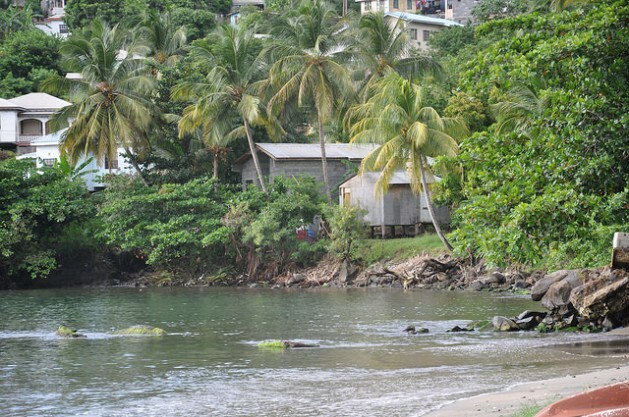 Diann Black-Layne speaks for a much wider constituency – Small Island Developing States (SIDS). She said adaptation, finance and loss and damage top the list of issues this group of countries wants to see addressed in the medium term. “Many of our developing countries have been spending their own money on adaptation,” Black-Layne, who is Antigua and Barbuda’s ambassador on climate change, told IPS. The executive secretary of the United Nations Framework Convention on Climate Change, Christiana Figueres agrees that such commitments by developing countries needs to be buttressed with international climate finance flows, in particular for the most vulnerable. “There is no doubt that adaptation finance needs to increase. That is very clear that that is the urgency among most developing countries, to actually cover their adaptation costs and many countries are actually putting their own money into adaptation because they don’t have any other option, because they can’t wait for a 2015 agreement or they can’t wait for international climate finance flows to get to them (so) they are actually already doing it out of their own pocket,” Figueres said. Loss and Damage is a facility to compensate countries for extreme weather events. It also provides some level of financing to help countries adjust to the creeping permanent loss caused by climate change. In 2012, the conch industry in just one Caribbean Community country, Belize, was valued at 10 million dollars. A landmark assessment presented Wednesday to governments meeting here at the U.N. climate summit said hundreds of billions of dollars of climate finance may now be flowing across the globe. The assessment – which includes a summary and recommendations by the UNFCCC Standing Committee on Finance and a technical report by experts – is the first of a series of assessment reports that put together information and data on financial flows supporting emission reductions and adaptation within countries and via international support. The assessment puts the lower range of global climate finance flows at 340 billion dollars a year for the period 2011-2012, with the upper end at 650 billion dollars, and possibly higher. “It does seem that climate finance is flowing, not exclusively but with a priority toward the most vulnerable,” Figueres said. The assessment notes that the exact amounts of global totals could be higher due to the complexity of defining climate finance, the myriad of ways in which governments and organisations channel funding, and data gaps and limitations – particularly for adaptation and energy efficiency. In addition, the assessment attributes different levels of confidence to different sub-flows, with data on global total climate flows being relatively uncertain, in part due to the fact that most data reflect finance commitments rather than disbursements, and the associated definitional issues.